Baseball is an American tradition, and every year thousands of high school athletes dream of going to college on a baseball scholarship. Like all student-athletes, high school baseball players face stiff competition for the limited number of scholarships that are available, and they must be prepared to work hard to get the attention of college coaches and recruiters. High school students intent on scoring a baseball scholarship need to begin preparing as early as their sophomore year. They will need to work closely with coaches to hone their skills on the field, and to prepare statistics and play reels for submission to college coaches and recruiters. It is a long process, but with hard work and diligence students may be able to use their skills on the diamond to secure a scholarship for college. Like all college athletics, baseball is regulated by the three national collegiate sports associations. The NCAA, NAIA and NJCAA set the rules by which baseball can be played at the college level. They also regulate the number of scholarships that colleges can offer as recruitment incentives for potential players. Unlike football and basketball, however, baseball is an equivalency sport. This gives coaches a bit more leeway in how they award scholarships, and often coaches will divide their allotted full tuition scholarships into a greater number of partial tuition awards. In this way they can attract a greater number of top players to their teams. Full and partial scholarships are the norm for baseball players at the college level, and they can be hard to win. That being said, high school baseball players who want to play on a college team should also consider walk-on scholarships. These are in essence general academic scholarships that can get the student to the college they desire, where they can then try out for the team. Many well known professional ball players used walk-on scholarships to make their name in college baseball. For more than a hundred years the National Collegiate Athletics Association has been regulating competition sports at the college level. The NCAA regulates playing seasons, and sets the rules of conduct for players and coaches at all member schools. It also closely regulates the number of scholarships that any NCAA college or university can offer when recruiting players. There are 297 colleges and universities participating in NCAA Division I baseball. Each school is allotted 11.7 full ride scholarships for its team. Because baseball is a designated equivalency sport, coaches are able to divide their 11 + scholarships into awards for up to 30 players. NCAA Division I baseball attracts only the very best, and it is not unusual for players to be pinched by the big leagues before they enter college. Consequently, students hoping to win a baseball scholarship to an NCAA college or university may be subject to last minute award notifications. There are 242 schools participating in NCAA Division II baseball. Each school is allotted 9 full tuition scholarships per team. Partial tuition scholarships are common in Division II, as they allow coaches more flexibility in building a full roster. NCAA Division III baseball consists of 408 programs at colleges and universities across the country. Division III schools are restricted from offering any baseball scholarships as a recruiting incentive. However, general athletic grants and academic scholarships may be offered by some schools as a way of bringing talented players to their campuses. In essence, these are walk-on scholarships and students will have to try out for the baseball team after they have been admitted to the college. The National Association of Intercollegiate Athletics (NAIA) represents smaller colleges and private universities throughout the country. While these schools may not have the high profile of their NCAA counterparts, they are home to some impressive college level baseball teams. NAIA baseball consists of 214 member schools across the country. Each school is restricted to 12 full ride scholarships for its baseball program. These may be full or partial scholarships, administered as the coaching team sees fit. Students with strong academic backgrounds, who also excel on the baseball field, may qualify for a general grant or scholarship which will not count against the school’s 12 scholarship limit. Again, these are in essence walk-on scholarships and students will have to try out for the baseball team after they have been accepted to the college in question. The National Junior College Athletics Association regulates baseball at the junior college and community college levels. While junior colleges often get overlooked when students think about sports, NJCAA member schools are home to some of the most impressive college baseball teams in the country. Like the NCAA and NAIA, the NJCAA regulates all aspects of baseball at the junior college level, including the availability of scholarships. NJCAA Division I baseball consists of 188 teams from junior colleges across the country. Each school is limited to 24 full ride scholarships to cover all expenses including tuition, books, registration fees and housing. Partial scholarships are not allowed. NJCAA Division II baseball includes 130 two-year colleges around the country. Each school is limited to 24 baseball scholarships. These scholarships can only cover tuition, and can not extend to housing or other expenses. Partial scholarships are not available. NJCAA Division III consists of 79 junior colleges. NJCAA Division III schools are restricted from offering any athletic scholarships as a recruiting incentive. While Division III schools may not offer baseball scholarships, they can offer general scholarships and grants for students who excel in the classroom as well as the ball field. As with any athletic scholarship, you have to get noticed by recruiters before you can be chosen for an award. Student-athletes need to work closely with their high school coaches to prepare show reels of their performance on the field, and to arrange interview opportunities with college coaches and recruiters. It is a long process, but hard work and diligence pays off in the long run. In addition to the college sponsored athletic scholarships, students should look to independent and regional scholarships for high school baseball players. While these programs do not ensure that a player will end up on their college team, they do provide scholarship funds to help talented young baseball players afford a college education. Dixie Youth Baseball is one of the better known youth baseball organizations in the United States. Every year DYB offers scholarships for players on a participating DYB team. Players compete on a head to head basis with other players in their state. Over 70 $2000 scholarships are awarded every years. The American Legion Baseball Scholarship is available to any player on an American Legion youth baseball team. Eligible players must be nominated by a coach, team manager, or American Legion Post Commander. Eight $2500 scholarships, and one $5000 scholarship, are awarded every year. Dizzy Dean Baseball/Softball is a non-profit organization dedicated to providing children and teenagers with community based baseball and softball programs. Each year they award the Ty Gaulden Scholarship to a Dizzy Dean team player who is enrolled in an accredited college or university. Awards are determined by a combination of skill on the field and financial hardship. Award amounts vary according to the availability of funds. 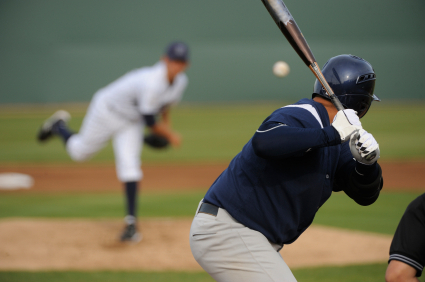 Competition for any athletic scholarship is fierce, and hopeful high school baseball players should be prepared to work hard, both on the field and in the classroom, to secure the award they hope for. If you think baseball may your ticket to college, speak with your high school coach and guidance counselor about what you’ll need to do to get the attention of a college recruiter. With hard work, talent, and some due diligence, your skill on the field may be your passport to a college education.